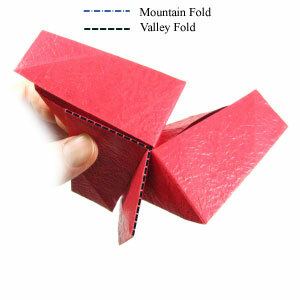 Apply the valley-fold of the step #44. 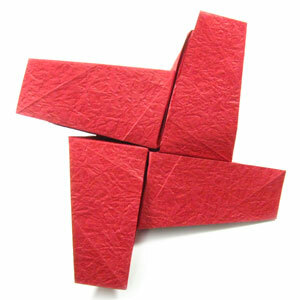 Prepare to repeat the steps #41-43 to the 3rd and 4th flaps. Repeat the steps #41-43 to the 3rd and 4th flaps.